When looking for a venue to hire, London offers more variety that any other City in the world. We offer a completely free Christmas venue finding service to help you find that perfect venue for your company Christmas party. With over 1000 London event spaces listed, we have a fantastic team with unrivalled knowledge of all the best event spaces in London. When looking for venues for events, ensuring that the location of the chosen venue is right for the attendees will have a big impact on attendance levels. Make sure that the venue is as close as possible to the main stations and transport links (including Heathrow and London City airports for inbound events). Being close to stations is especially important for events which finish late at night, so that guests can travel home swiftly and safely.. Remember, when looking for the best venue for hire, London has an excellent transport network, so make sure you use it to your advantage. When looking for a venue for exclusive hire, London has a vast range of options, large and small, so make sure that the size of the venue is suitable for your event. As a general rule, finding a venue that has about 25% headroom for you chosen seating style, will ensure that you have spare capacity to take additional guests if required and also avoid losing atmosphere by only half filling an event space. 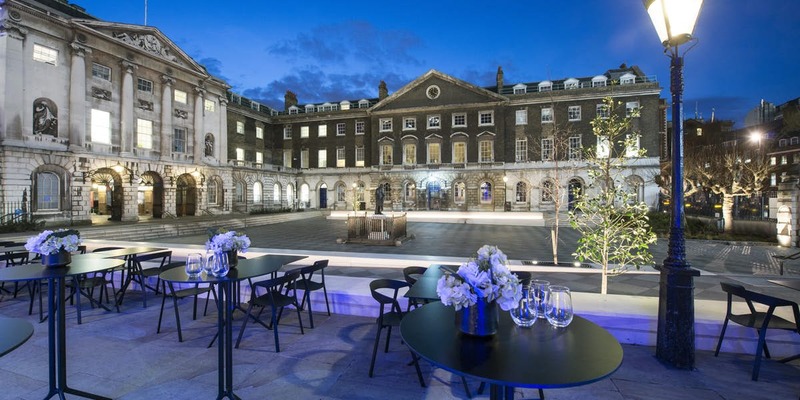 Those looking for venues to hire in London are spoilt for choice in terms of the range of styles; from Historic banqueting venues to cool contemporary spaces. With so many to choose from, make sure that you select a venue that’s look and feel reflects and enhances your chosen theme and/or key messaging as this will attract the right profile of guests. This is especially important with product launches and other brand related events and with delivering a chosen theme or decorative design. When planning any event, having a clear budget before researching the London venue hire market will save you a great deal of time in the planning process. Prices vary hugely by venue, dependent on their location, popularity and date. Best value when searching for venues in London to hire is normally achieved by getting detailed quotations for at least three venues and then negotiating with all three to get the best price. Discounts can often be best achieved by choosing less popular dates (i.e. Mondays) or months (i.e. August) if that will not affect the attendance levels of your event. The good news here is that the Venue Search London team offers a free service to assist you in finding a London venue to hire, since we earn introductory commissions from the venue. And in many cases we can help you deliver the best value by negotiating the best prices on your behalf, using the expertise and buying power of our dedicated team of experts. Why not find out for yourself by searching our database of over 300 London event spaces or simply call us now on 0207 870 9305 and let us do all the event venue hire searching for you!